Good Saturday morning to you. How did you begin your day? I started my day with breakfast. Then my boyfriend and I drove to the beach so we could walk the beach. 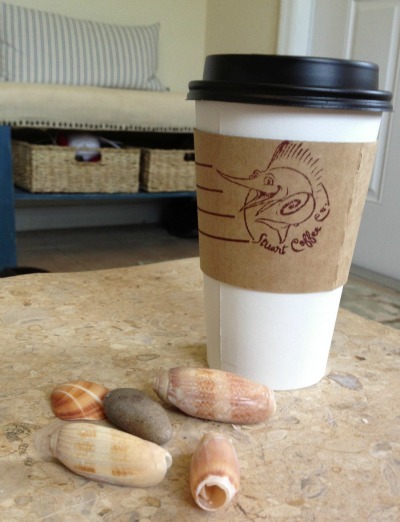 On the way home, we stopped at a local coffee shop, Stuart Coffee Company, for some espresso drinks. I got a plain ol’ cafe latte and Ken got an iced pumpkin spice latte. Yep, this coffee shop still stocks the pumpkin spice syrup! About breakfast. I love breakfast. I can eat anything for breakfast. Today I ate leftover pizza. 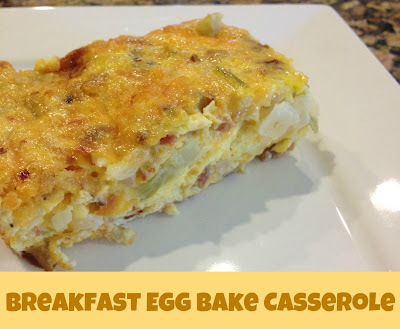 I also love recipes that could be considered breakfast, lunch and dinner cuisine. 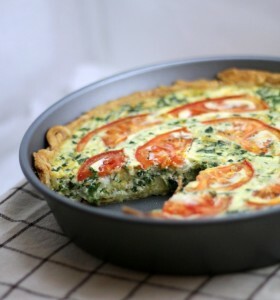 Quiche is one of those recipes that could be considered breakfast, lunch or dinner cuisine. 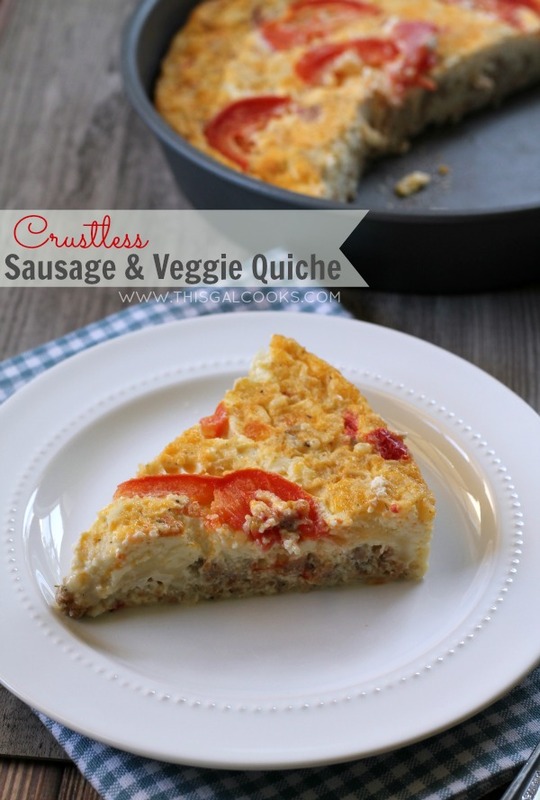 Recently I made a Sausage & Veggie Crustless Quiche to enjoy any time of the day. I had it for breakfast for a few days and for dinner a couple of times. Doesn’t it look fantastic? No need to fret if you don’t have all of the ingredients that I used. You can easily substitute ingredients. Are you out of red pepper but loaded with spinach? Use spinach instead! Is your fridge missing the sausage but has a package of bacon sitting on its shelf? Use that bacon! Bacon tastes great in Quiche. I hope you enjoy this recipe. Whisk together all ingredients minus the tomato. Pour into a greased 9 inch round cake pan. Top with the sliced tomato. Bake at 350 for 40-45 minutes or until set. That quiche looks fab! I love breakfast for dinner and yours looks super easy. I think the hubby and I will be having this for dinner next week. Ohhh my, that looks delicious!!! Enter to win a $75 Gift Card to Muse Apparel – 2 Winners! That totally looks good. I want it for dinner! Hmm looks super. I’d love this for brekkie with veggie sausages ! I adore quiche. These all sound good. Thanks for sharing. We’re having a party at Tumbleweed Contessa and I’d love it if your brought this by What’d You Do This Weekend? I LOVE savory breakfast! Putting two or more kinds of cheese is something I do to add more flavors. Your quiche looks so delicious – simple yet packed with nice flavors from sausages and veggies. Love it! I love the big slices of tomatoes! This is an amazing breakfast I’d love to eat any day of the week! I am with the others. I love quiche or egg anything. So this is the recipe which grabbed me. Yeah I hear you about burn out. I took a day off yesterday and played. I managed to beat the guilties. So this was good. 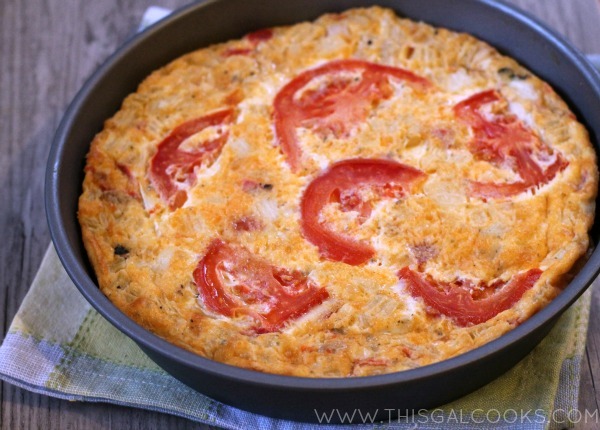 My #1 go to quiche recipe. Absolutely love it! Julie, I love your ideas for add – ins. 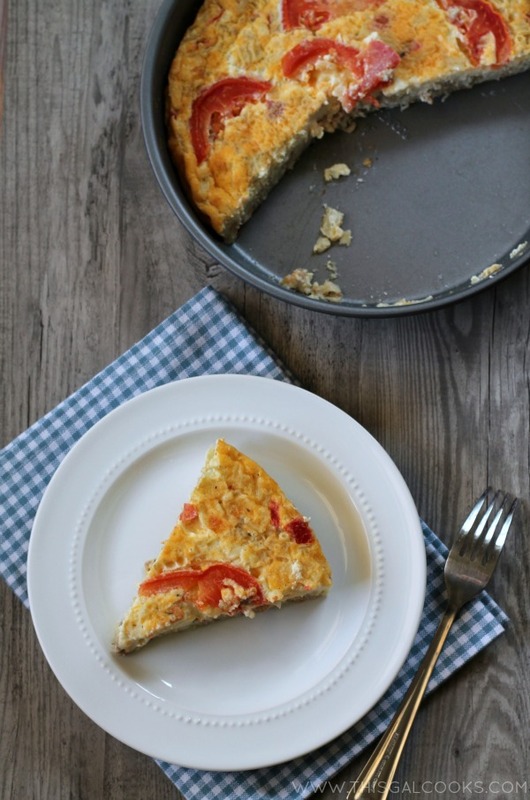 Crustless Vegetable Quiche is one of my favorite egg dishes to make ahead and freeze and now I will have more options!